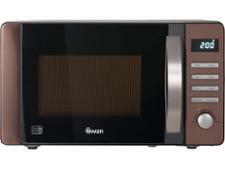 Swan SM22090COPN microwave review - Which? The copper-coloured Swan SM22090COPN microwave has five power levels, a defrost function and an express button for those times when you don't want to bother setting the time, power or weight. 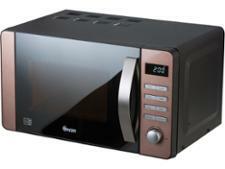 The mirrored door gives this microwave a sleek, modern look, but does it make it harder to see your food inside as it cooks? Our full review answers this question and more.